Tickets are now on sale for the Hops & Flip Flops Craft Beer Festival to be held on Friday, August 22nd. Information at http://hopsfest.eventbrite.com . Also, we have two great events on July 13th. We will be supporting the beer garden at the Speedway Cycling Grand Prix from noon to 4 pm. Racing starts at 8 am and the last race starts at 3:30 pm. That evening we are pairing some of our beers at the Chef's Night Out dinner at City Market. Tickets are still available for the 8:00 pmseating! Construction update! Our final design plans for the new production brewery and tap room were submitted this week and we have approval meetings scheduled for the first week of August. If things stay on track we should be pulling permits and breaking ground in mid-August. 5-10pm at Triton Brewing Company we are Tapping the Grand Citra Station IPA! 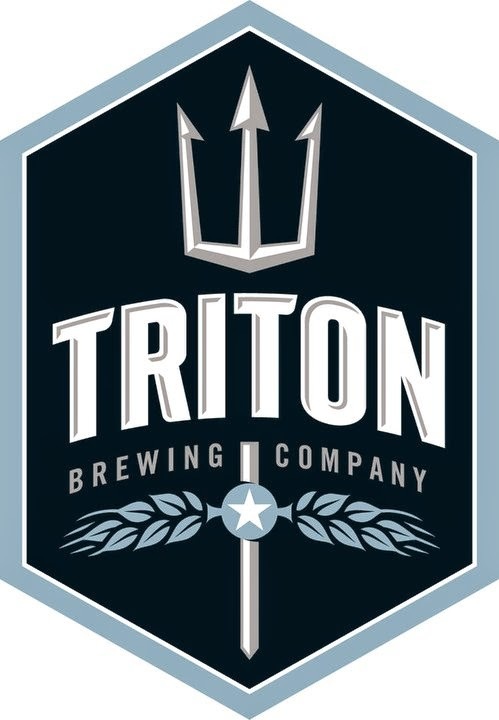 Brewer Jon will be hanging out at the Copper Still (Noblesville) in the evening for Meet the Brewer, featuring Triton Beer! 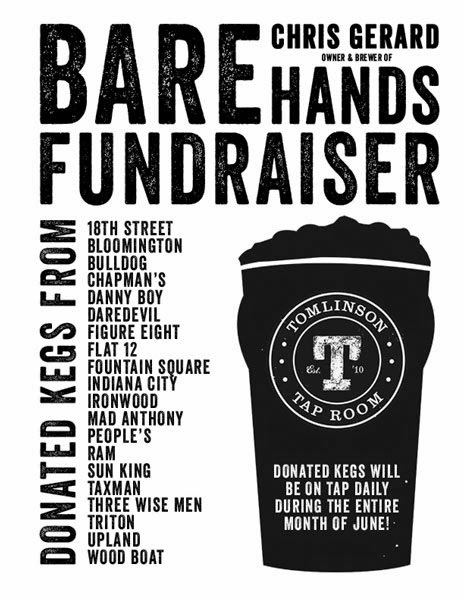 We donated a keg of Dorian Coffee Coconut to Tomlinson Tap Room for Barehands Head Brewer Money Raising Event. 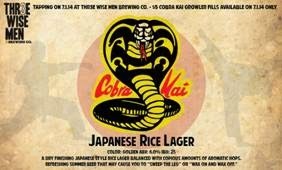 Throughout June/July - Limited number of Dorian Coffee Coconut kegs to hit market. Proceeds from sale go to Chris at Barehands, as well as, partnering restaurants donating majority of sale proceeds to Chris. We don’t want you to go thirsty this weekend, so we will have our regular taproom hours (noon – 8pm) on Friday, July 4th. That’s right. 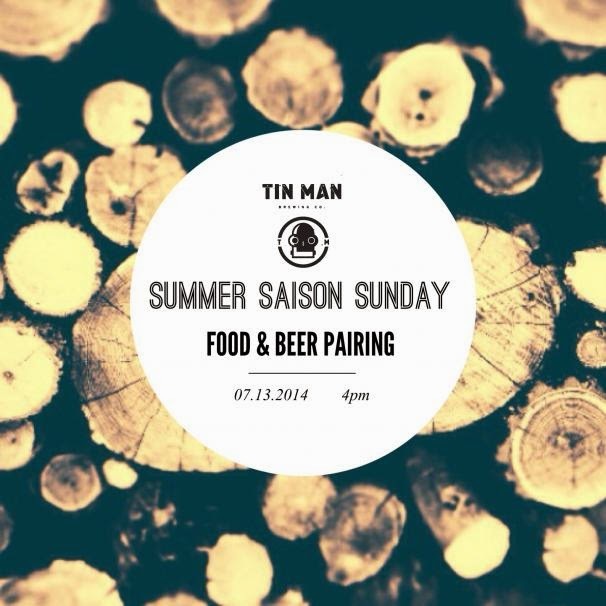 Come hang out and drink beer on the patio with us during the day. Fill your growlers and bullets. Then venture downtown to watch the fireworks show. Even though USA was knocked out in the match against Belgium, it doesn't mean the World Cup games are over. 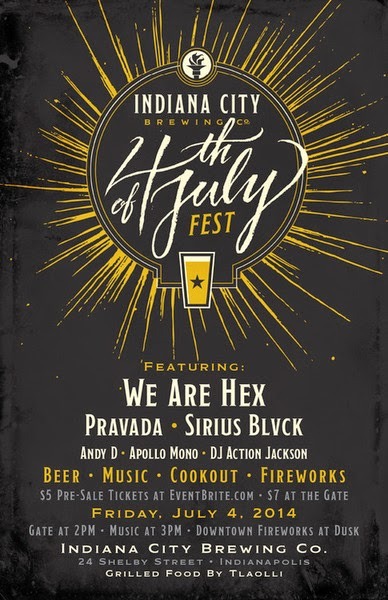 Join us in the taproom this weekend (Friday, July 4th and Saturday, July 5th) for the Quarter Finals and then again next weekend for the Finals. That’s right. Don’t miss your chance to drink some Indy Eleven/BYB beer while watching the World Cup matches on the big screen! Patio is fully open, weather permitting! We rolled out our new summer menu last week, stop in and check it out. Gumball Head, La Trappe Quad, Bier's Marzen, Brooklyn Summer Ale, New Albanian Hoptimus, Stone's Triticale Quad, Taxman's Belgian Black, Tow Yard goldie Hops, Tow Yard Pale, Kentucky Brewing's Bourbon Ale, and we have other Bier, Tow Yard, and FFF on deck. 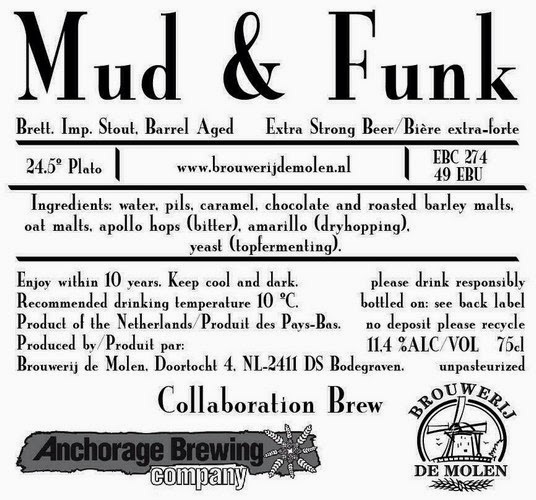 New in stock and already making it's way around the state from Brouwerij de Molen comes a collab with Anchorage Brewing called Mud & Funk. This Brett Imperial Stout combines De Molen's mastery of dark beers and Anchorage's mastery of funk and wood, was aged in a mixture of Wine and Bourbon barrels. Blended back together, this dark, funky, and complex stout is sure to please. Available in 750ml bottles statewide now. 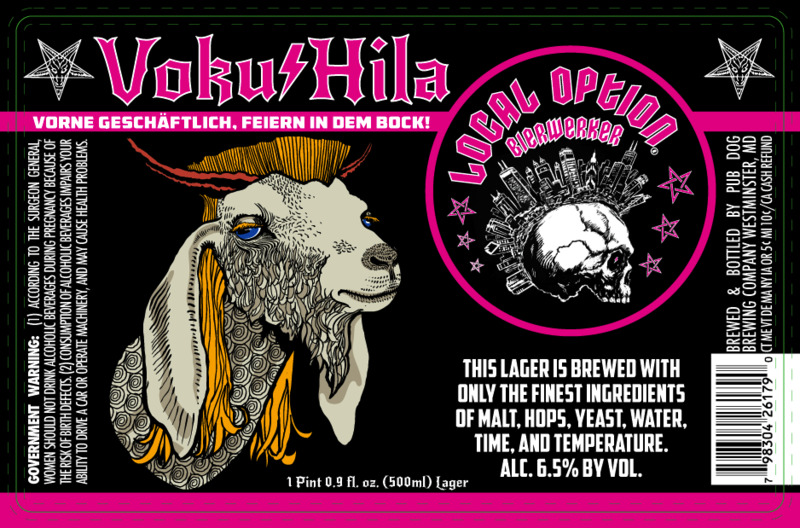 Also back in stock from our pals up in Chicago comes Local Option's Vokuhila. A traditional take on the classic German style Helles Bock, this strong golden larger clocks in at 6.5% and features a robust hop and malt profile. Much like it's namesake, its work in the front end and party on the backside. Available statewide in 500ml bottles and 1/6bbls! We'll be sipping $3.50 pints on the patio. Food specials will be available. The brewer will be mingling with guests. The opportunity to go on a tour is also available. 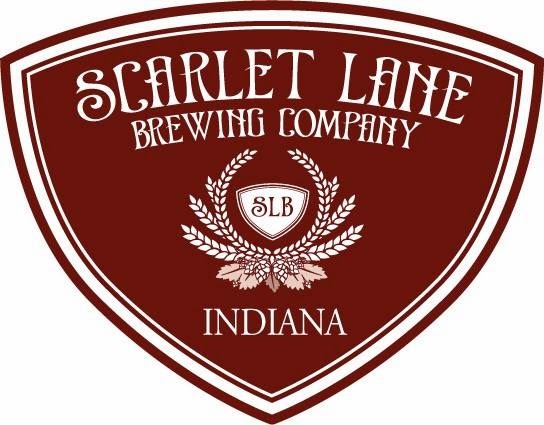 We'll also be celebrating that Three Pints will be opening a Martinsville location this summer! 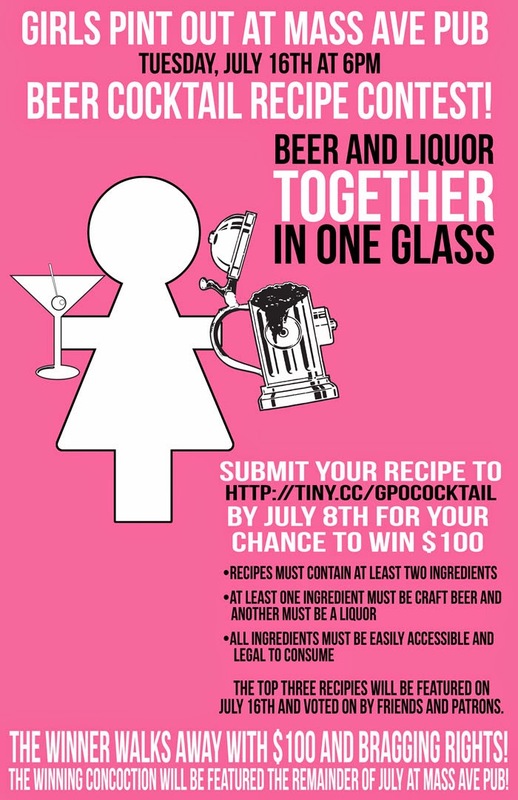 This is a co-ed event!